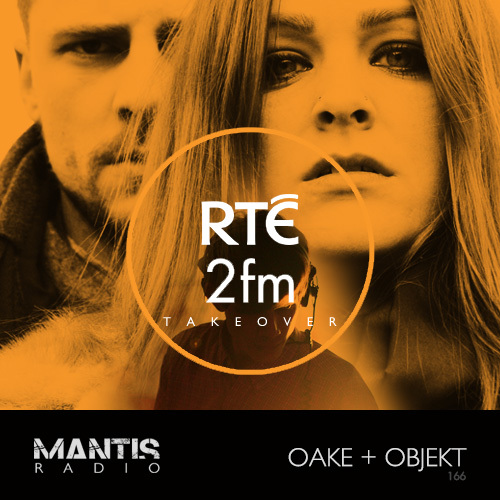 Once again, Mantis Radio take over Ireland’s national station RTE 2fm, covering Sunil Sharpe on The Late Night Sessions. We interview TJ Hertz aka Objekt – discussing his new album Flatland, workflow and influences. You’ll recall that back in February, Hertz provided one hell of a session for our milestone 150th show. We’ve new music from Lakker, Go Hiyama, The Bug, Lee Gamble, Raphael Acohen, Happa and even some old-skool Joey Beltram. In hour two, we’ve a stunning session from the Downwards signed Berlin duo OAKE. A duo who’s industrial and post-punk sound draws comparisons to that of COIL and Cocteau Twins.